I never thought that a Construction Company would ever have a blog page, let alone a General Contractor. But here it is, they are telling me that it's the new in thing. 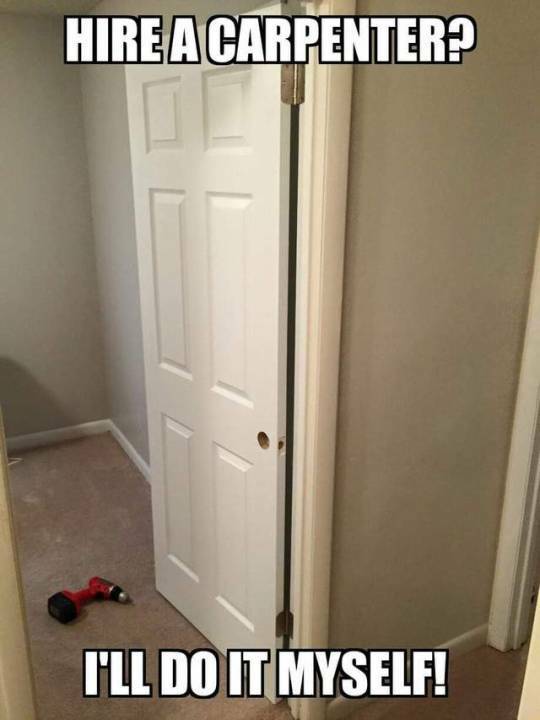 And this is why you need to hire a Journeyman Carpenter. I am a Journeyman Carpenter, that is because I picked up my first skill saw when I was 14. ( and yes it was a Skill Saw brand, it weight about 20 lbs because it was made of steel not plastic ). My Father was building an addition onto the side of the house, and I was out trying to help. My uncle was there helping my father, and I wanted to cut a piece of 2 x 4. Dad said no , and my uncle nodded to go for it, so I did. From that day on I knew I wanted to be a carpenter just because of the smell of the fresh cut wood.